History: The AVA’s wine history reflects that of the Rogue Valley, as it includes Peter Britt and Valley View Winery. It wasn’t until the ’70s that Applegate Valley experienced a resurgence of winemaking. Location: A sub-appellation of the Rogue Valley, it stretches 50 miles north from the California border to the Rogue River just west of Grants Pass. Climate: The AVA has a moderate climate that generally enjoys a warm, dry growing season with hot days and cool nights perfect for warm-climate varieties. Soils: Typically granite in origin, most of the area’s vineyards are planted on stream terraces or alluvial fans, providing deep, well-drained soils ideal for vines. Topography: The region is surrounded by the Siskiyou Mountains. The Siskiyou National Forest borders the AVA to the west, and the Rogue River National Forest to the east. Vineyards are typically grown at higher elevations up to 2,000 feet. Focus? 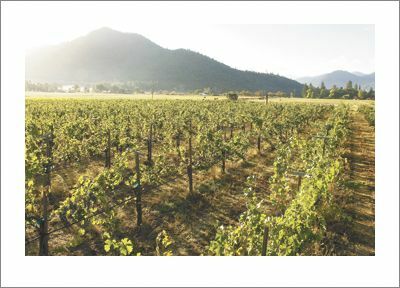 We are a promotional group, generating awareness and bringing guests to our member wineries in the Applegate Valley AVA. Identity? Our identity can be found in our scenic routes — farms, mountains, horse, sheep, llama and cattle ranches. Wineries are easy to find and rarely experience traffic to fight. We are also a group of friendly, uncrowded, unspoiled wineries that give individual attention to guests. You can meet winemakers and owners — many host the tasting rooms and offer insight into wines not often possible from hired staff. 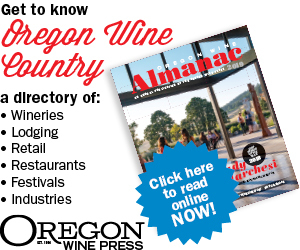 We also have the greatest concentration of wineries in Southern Oregon — drive less and experience more wines. Our AVA supports ideal growing conditions for a variety of grape types and some of best winemakers in Southern Oregon craft wines from them. Varieties? Our members produce a variety of wines — Merlot, Cabernet Franc, Cabernet Sauvignon, Chardonnay, Marsanne, Petite Sirah, Primitivo, Riesling, Rousanne, Sangiovese, Syrah, Tempranillo, Viognier, Zinfandel. Collaboration? Our AVA enjoys collaborative efforts with all our winery members. The Uncorked Spring and Fall Barrel Tours and the association that we formed in 2003 are great examples of our continuing collaboration. Marketing? We advertise, engage in trade tastings, support media familiarization tours, visits by influential trade members, do cooperative promotions with hospitality partners, and visitor and convention bureaus, produce brochures and distribute them both locally and out of our area. We don’t use social media, but we do maintain a website with member and area attraction information and produce a blog specific to our AVA.